Dave Hilts founded PaddleAir in 2004. Since then his innovative products have helped surfers around the world relieve the back, rib and neck pain associated with paddling so that they can paddle stronger and surf longer. 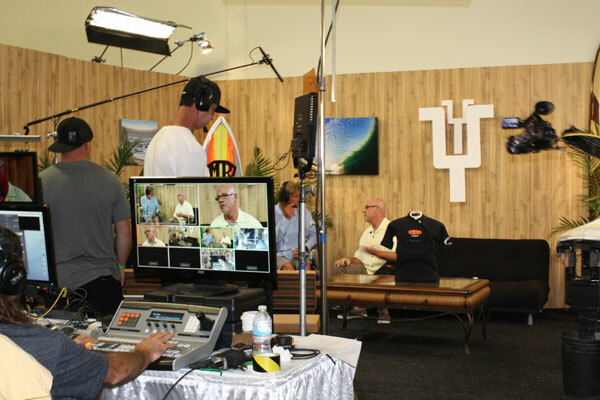 PaddleAir interview at The Boardroom Surfboard Show. Photo courtesy of Caitlin Hilts. Dave was recently interviewed at The Boardroom Surf Expo in Del Mar, California by Gary Linden and Jeff Baldwin. Watch the video below and see him give a great breakdown of how the PaddleAir Ergo works and how it solves paddling-related problems.